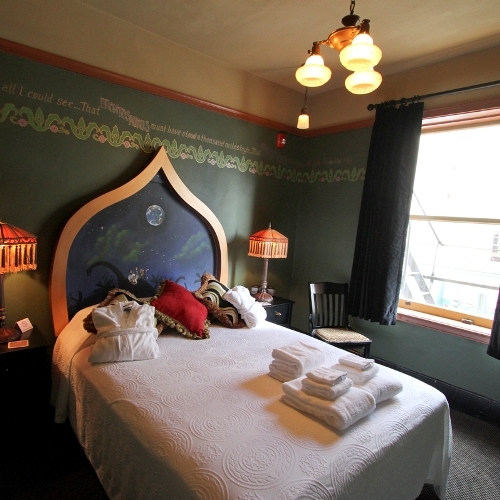 Turn those points into an overnight experience at the historic Crystal Hotel, just a block from the Ballroom. Each room is inspired by a song or performance from the Crystal Ballroom's 100 years, and is decorated with colorfully painted panels and headboards, deeply hued walls, black velvet drapery and animal print upholstery, all lending to a truly rock 'n' roll vibe. Your room comes with admission to the soaking pool! 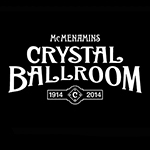 This gift certificate may be picked up at the Crystal Ballroom box office and is subject to availability and blackout dates.